As I said first, the obvious answer is to do the same thing you just finished doing, but make sure you recreate the accounts in the right order. Oh well............. nightmare .......... but thanks !!! Is there also solution in my OLD MAIL FOLDER import back FEEDS mail in the past in this re-build M2 ? @sgunhouse said in but the dropdown is a different matter. Helo , Is there anything I could do in order to achieve ............. ? @sgunhouse said but the dropdown is a different matter. The dropdown yes , the account 1 & 2 used to be located at very bottom ., the last 2 items they were at. After I re-build mail account all of them went in different position..
Can I manipulate account.ini the way to be in-order at my wish position ? Hi , I made it by the HARD WAY and now I would like to know how I'm able to re-order the account position the way I want ? i.e. the account 1 & 2 showing from below pics to move to the very bottom. It's because I already have many custom right click command in index.ini controlling account dropdown next item , previous item but after the HARD WAY re-build account.ini they are now not in the same position as it was. @emc Is it still fetching mails properly? All mails from M2 gone after Window Blue screen. But the mail folder remains appears 9.5GB I believe all my mails still there . I rename omailbase.dat to oldomailbase.dat still doesn't help. Any other solution can offer me please ? 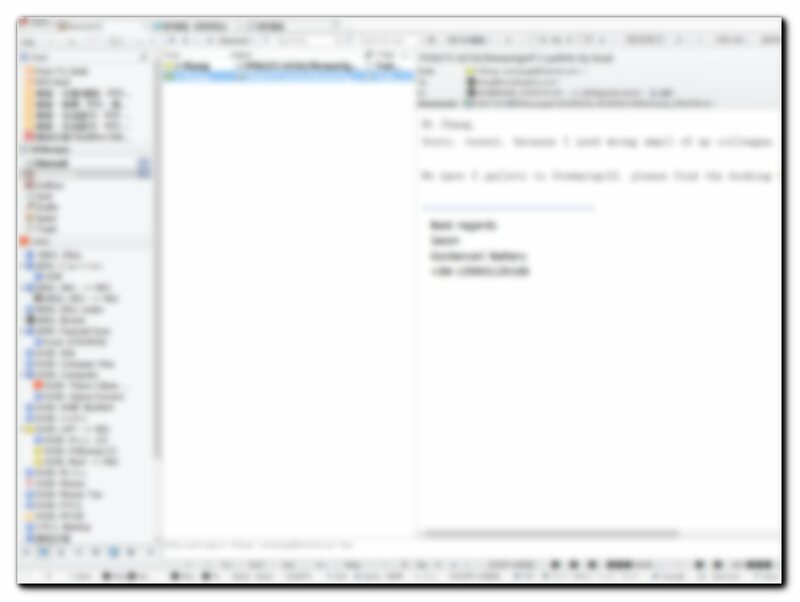 When new email retrieved , M2 mailing list panel is not focusing to the new email , neither automatically going to the end nor focus ( hightlighting ) the new incoming email. How I can assign command to this so that each time a new email retrieved M2 mailing list focus this new mail ? Also , how I can make additional action after focusing new incoming mail , hit enter so that new email opening from a new tab ?